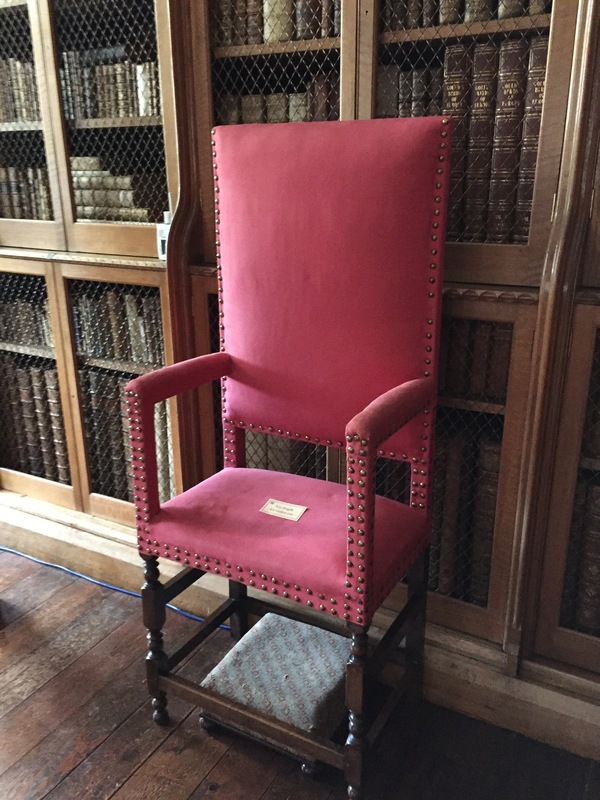 In the Oak Gallery at Blickling, a Tudor house in Norfolk, I came across a tall chair upholstered in red velvet. It had no label, just the usual polite note from the National Trust asking the visitor not to sit on it. (Actually, the NT has so many unsittable ancient chairs that they often just place a dried thistle or a pinecone on the seat). Really? The coronation chair of the King whose reign ended the bloody Civil War in England didn’t rate a placard? Charles II was the English king crowned in 1660, 11 years after his father, Charles I, was executed–for treason. How could a king be guilty of treason? Charles I wanted to rule as an absolute monarch, levying taxes without consulting Parliament. Thus began the bloody English Civil War. Charles I lost. 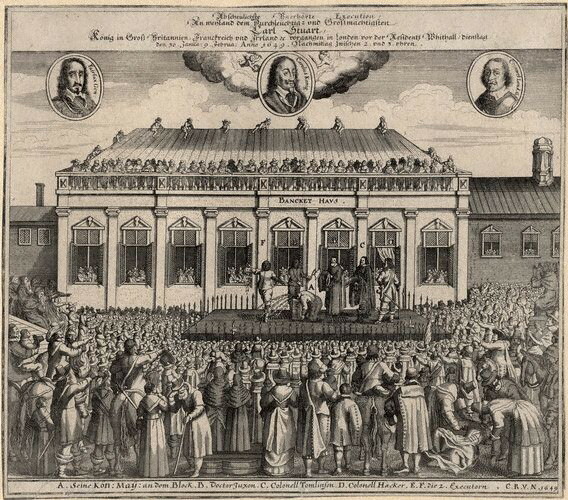 Charles I was executed in public, with all due ceremony, in front of the Banqueting House at Whitehall, in 1649. It was a cold day in January, and reportedly Charles’s main worry was that he would shiver and the crowd would think he was scared. He wasn’t. Charles I was an unpopular king, but there are countless images of him. I can spot one at twenty paces. The painting above is at Blickling, but I forgot to take a picture of the caption so I don’t know the artist. I think the future Charles II is shown with his unfortunate dad. The pointy beard at the bottom of Charles I’s long narrow face is always a giveaway. I’m sure I’m being way too hard on the man, but to me he always looks very aloof, with his head in the clouds. After Charles I lost his head at Whitehall, a Commonwealth of England was declared, but it was really more of a dictatorship led by Oliver Cromwell. Before too long the people wanted their monarchy back. This is a huge simplification of events and people that are still hotly debated, of course. Oliver Cromwell was dug up and beheaded for treason after he was already dead, but many people consider him the father of British democracy. 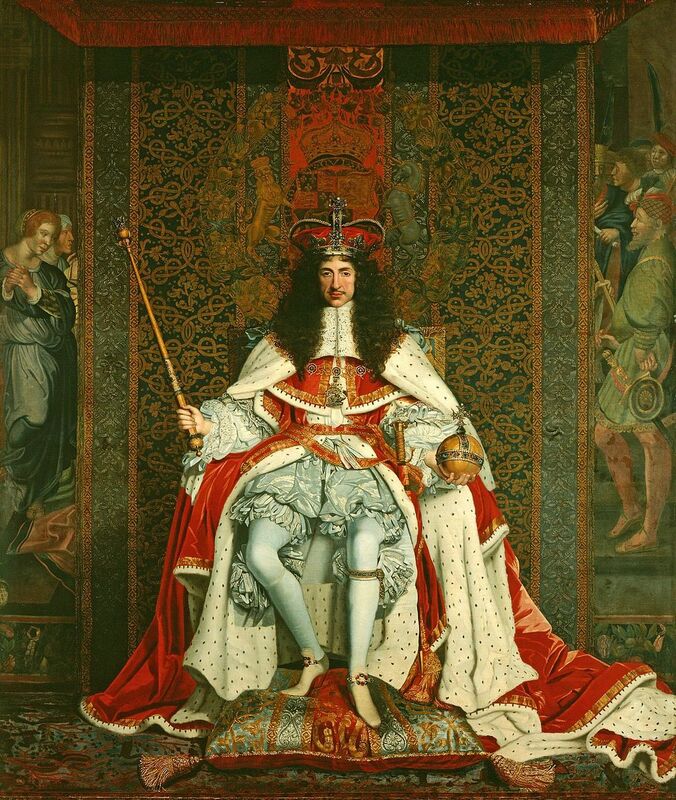 Anyway, once again England had a hereditary King, Charles II. I’d have thought the coronation chair of Charles II was an important piece of furniture. I was pretty sure the kindly docent was mistaken about the tall red velvet chair. I found a coronation portrait of Charles II with a much grander coronation chair just visible behind him. He was crowned at Westminster Abbey in the full splendor that the English have always done so well. Now I think the chair I saw may have been used for something else–maybe a grand banquet following the coronation, built high so that everyone could see the new King. Or maybe Charles II just had especially long legs and this was his favorite chair. I’m not willing to give up the idea that Charles II sat in that chair. Anyway, I love the way the British love their history. I would not dream of contradicting a lovely, friendly docent who is working as a volunteer in a National Trust property. If I heard a mistake, I would always just let it slide. But if a Brit heard a howler of a mistake, trust me, there would be a swift and stern correction. People in the room would immediately gather round and join the debate. Events from 400 years ago might as well have happened yesterday. They are lovingly preserved in memory and in physical objects. 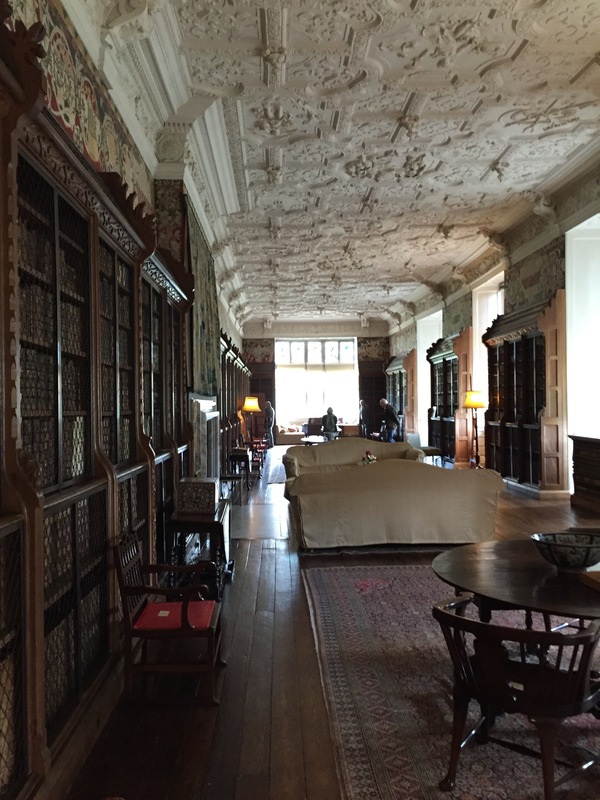 The Oak Gallery at Blickling is magnificent. For the price of a National Trust pass, a visitor can trace the footsteps of Henry VIII and several of his queens. When Henry was gone, Queen Elizabeth I was a frequent visitor. Anne Boleyn was most likely born on the property, though not in the present house. On the anniversary of her death, she is said to arrive at the house in a ghostly carriage, sadly carrying her head. 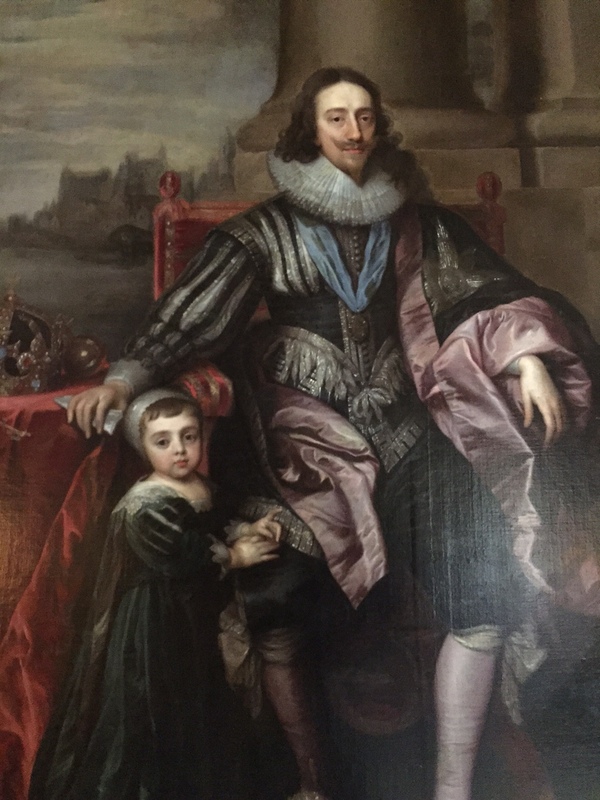 Did Charles I or II walk this gallery? I’m not sure. I’d better go back for another visit. Join me next time for more explorations in the art and history of Europe and the British Isles! This entry was posted in British Isles, Castles and Palaces, England, Historic Homes, Historical Figures and tagged Anne Boleyn, Blickling, English Civil War, Henry VIII, King Charles I of England, King Charles II of England, National Trust, Oak Gallery at Blickling, Oliver Cromwell, Queen Elizabeth I, Restoration of monarchy in Britain on May 9, 2015 by Claudia Suzan Carley.